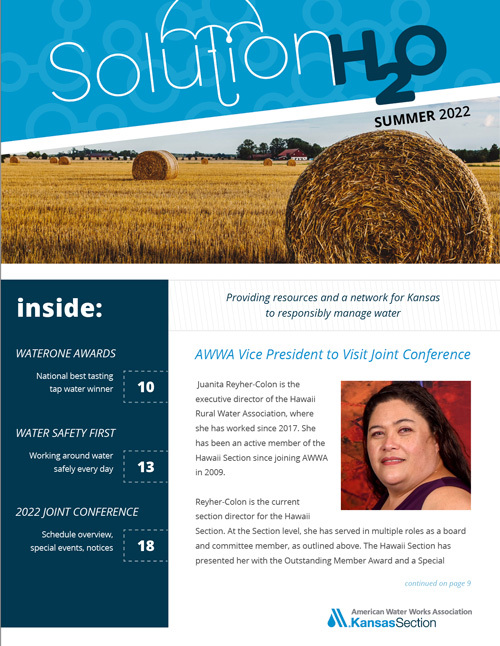 Solution H2O is published by the Kansas Section of the American Water Works Association and distributed freely to its members. Download the current issue of Solution H2O. Looking for a back issue of Solution H2O? Contact us today.